The intention of the CLP Regulation is very similar to CHIP, substances and mixtures that are placed on the market should be classified, labelled and packaged appropriately. 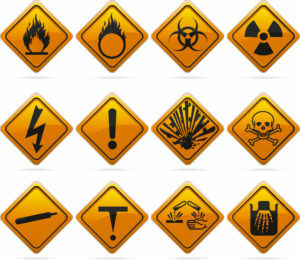 But because CLP adopts the GHS, in time, the same classifications and labelling will be used throughout the world. 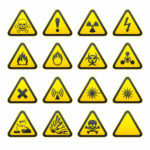 A few changes to that are obvious will be the new hazard pictograms that are found on chemicals. Corrosive. The substance is corrosive which can cause severe skin burns and eye damage. There are some chemicals that are not covered by CLP as they have a more specialised purpose and are covered by more specific legislation. Substances and mixtures for scientific research and development which are not placed on the market and are only used in controlled conditions waste.